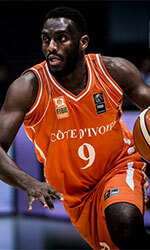 Fiat Torino (Serie A) inked 26-year old naturalized Ivorian guard Mohamed Toure (190-92). He started the season at Agribertocchi Orzinuovi in Serie A2. Toure helped his team get promotion to Serie A2. In 16 games he averaged 5.3ppg, 1.2rpg and 2.1apg this season. The last season he played also at Agribertocchi Orzinuovi (also in Serie B) where in 39 games he had 7.1ppg, 2.1rpg and 1.9apg. Toure contributed to his team winning the Serie B title and they also made it to the Cup final. He represented Italy at the European Championships U20 in Slovenia six years ago. His stats at that event were 5 games: 2.2ppg, 1.0apg. 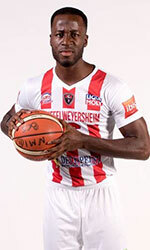 Toure has played previously for five other teams: Armani Milano, Varese Robur, Omegna, Met.Extra Viola Basket Reggio Calabria and Firenze All Foods. His game is described as: A promising guard with fantastic athletic skills. He plays with great intensity and energy, and he's yet a good defender, but needs to improve his timing and court vision. Sometimes he goes out fo control. Bright future as a combo guard.